Fleetwood Mac News: REVIEW Fleetwood Mac Live in Toronto Nov 5, 2018 "I guess Lindsey Buckingham should feel flattered"
REVIEW Fleetwood Mac Live in Toronto Nov 5, 2018 "I guess Lindsey Buckingham should feel flattered"
I guess Lindsey Buckingham should feel flattered when he’s not suing his former bandmates? 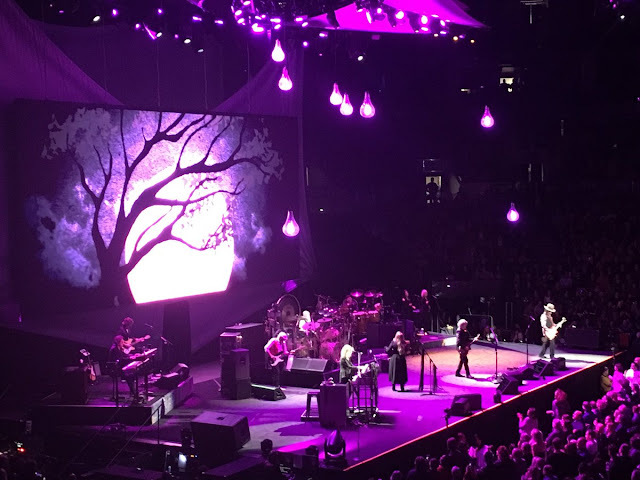 Fleetwood Mac came to Toronto’s Scotiabank Arena on Monday night and it took two stellar musicians to replace the singer-guitarist who was fired from the veteran British-American rock band earlier this year and a lawsuit subsequently followed in October. 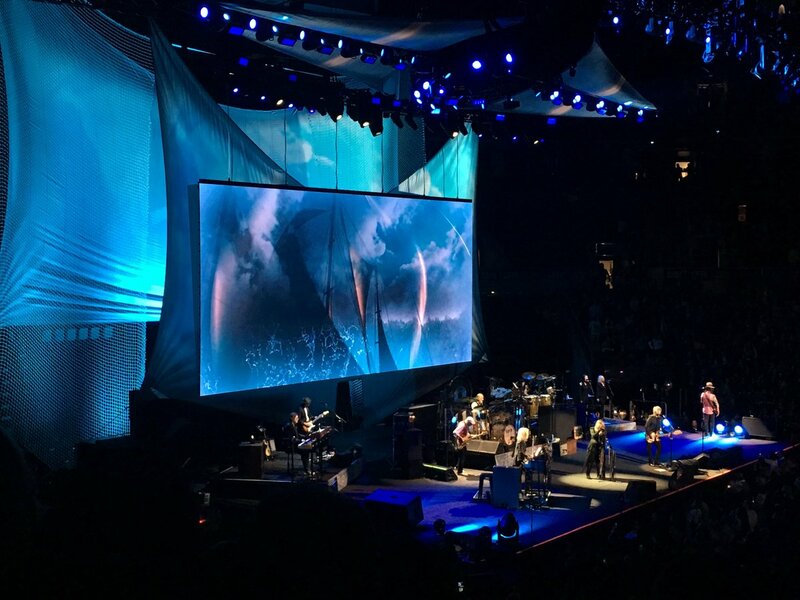 Anyway, the latest incarnation of the mighty and enduring Mac — whose rotating lineup is hardly new in the band’s 50-year history — sees Crowded House’s Neil Finn, who possess one of the best voices in pop, and guitarist Mike Campbell, who previously played with Tom Petty and the Heartbreakers, picking up the slack. That doesn’t mean Buckingham, whose solo tour arrives in Kitchener’s Centre in the Square on Nov. 16, wasn’t missed as there is an intensity to both his guitar playing and flinty interplay with his former girlfriend Nicks. But his absence Monday night meant the band, founded by Peter Green in 1967 and named after Fleetwood and McVie, delved into their back catalogue for such Green and second guitarist Danny Kirwan-era songs as the Santana-popularized “Black Magic Woman” and “Tell Me All The Things You Do,” which truthfully weren’t never really that missed. The one exception was “Oh, Well” with Campbell taking over on lead vocals and given his guitar a real work out. Nicks, as usual, was the evening’s undisputed star in her trademark suede black boots, on such standouts as “Dreams,” “Rhiannon,” “Gypsy” (which included a twirl), “Landslide,” and “Gold Dust Woman” working various shawls to wonderful effect. “This is a song about change, about surviving change, and the future,” she said. Much to the crowd’s delight, Finn trotted out the Crowded House gem, “Don’t Dream It’s Over,” with Nicks taking a turn on one verse, and there was also a tribute to Petty in the encore with Nicks singing lead vocals on his hit, “Free Fallin’” while pictures of him (and often Nicks together) appeared on the back video wall. In a way, this is more of a supergroup than just Fleetwood Mac’s latest lineup change and given they’re already set to return to Scotiabank Arena on April 8, you never know what new twist might just come next.